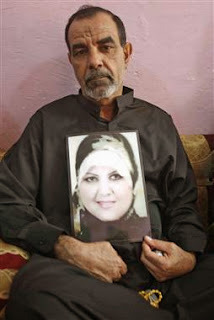 Shaima Alawadi was brutally murdered by her husband Kassim Alhimidi for seeking a divorce. Yet Alhimidi was smart enough to use the media's obsession with "Islamophobia" to deflect attention from his guilt. After murdering his wife, Alhimidi placed a note nearby saying, "This is my country. Go back to yours, terrorist." 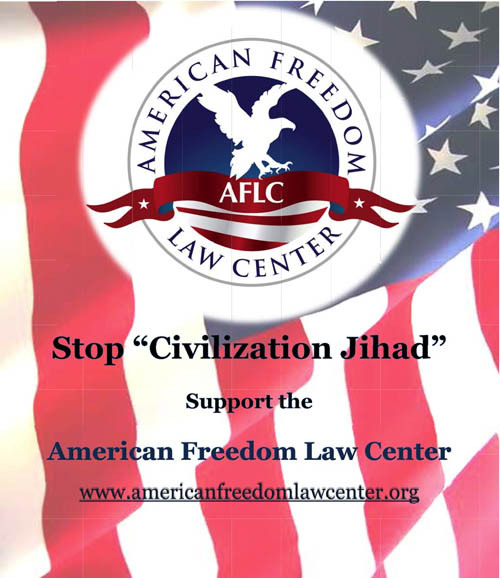 The media finally had its proof that criticism of jihad and sharia is a threat to the safety of Muslims, and stories about Islamophobia were splashed across newspapers, magazines, and websites. Police, however, weren't as gullible as the media. Instead of jumping to conclusions about bigotry and racism, they examined the evidence and realized that Alawadi was murdered by her husband, not by an Islamophobe. SAN DIEGO (CNS/CBS 8) - A jury Thursday found an East County man guilty in the murder of his estranged wife, prompting an outburst by several family members in the courtroom. 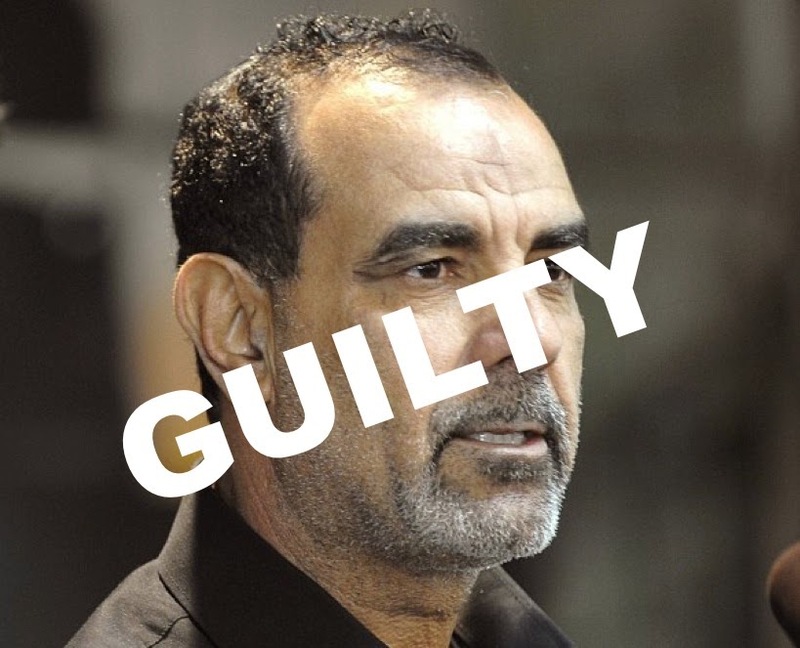 Kassim Alhimidi, 49, was found guilty of first-degree murder in the death of 32-year-old Shaima Alawadi. He will be sentenced on May 15. He faces 26 years to life in prison. After the verdict was read several people in the courtroom began shouting, and at least two people were taken out by deputies. Alhimidi was seen repeatedly shook his head, waved his finger and appeared to be praying. A photocopied note found about eight to 10 feet from the victim read, "This is my country. Go back to yours, terrorist," leading investigators to initially believe Alawadi's killing may have been a hate crime. Alhimidi said he was out for a drive when his wife was killed the morning of March 21, 2012, but surveillance video taken from a nearby school showed his van and a dark-clothed person coming and going in the area of the family home on Skyview Drive around the time the victim was attacked, Mechals said. Alawadi had told relatives she "couldn't stand" the defendant and had taken out divorce papers, the prosecutor said. "The relationship was in the tank. It was bad," Mechals told the jury. The couple's then-17-year-old daughter, Fatima, told police she was upstairs when she heard a "squeal," then later what sounded like a broken plate downstairs around 11 a.m. the day her mother was attacked. A pane from a sliding glass door had been broken from the inside, Mechals said. Fatima -- who had stayed home from school -- thought her mother had fallen, but paramedics first on the scene said blood and other evidence was inconsistent with a fall. 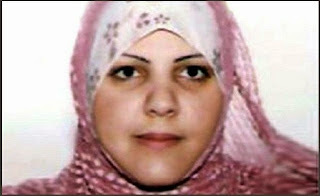 Fatima had been at odds with her Muslim parents for dating a Chaldean, but she had no motive to kill her mother, according to Mechals, who told jurors it was "unreasonable to think she (Fatima) had anything to do with it." Here's video footage of the chaos that ensued following the reading of the verdict. It's official: Reza Aslan owes Robert Spencer and Pamela Geller an apology. A unanimous verdict. I'd like to know what he was shouting in arabic towards the end of the video. He said: "Impossible, Ali. Mr. Nabeel. Mr. Nabeel. These are lies. They are liars. They are liars. This is racism. This is racism. This is American racism. See? This is America. You people (unclear) spoke about me. They defended me. They protested for me. I'm innocent. I'm innocent. I’m innocent. This is American racism. They brought us here and they corrupted our girls. And corrupted our boys. By God, I'm not the killer. By God, I'm not the killer. By God, I'm not the killer." So, the punishment will be 26 years plus of prison dawah? How about deportation back to whatever rock he crawled out of? Kassim Alhimidi is from Iraq, and in the court he spoke the Iraqi dialect. The translation of David Wood is not entirely correct. "...O people go and demonstrate I am innocent...I am innocent. Allah is my witness I am not a killer, by Allah this is a lie. It's a pitty, the judge ia a good judge..."
I guess he's not as good of a deceiver as Allah. He would stand with the bloody knife in his hand and blame everyone but himself. 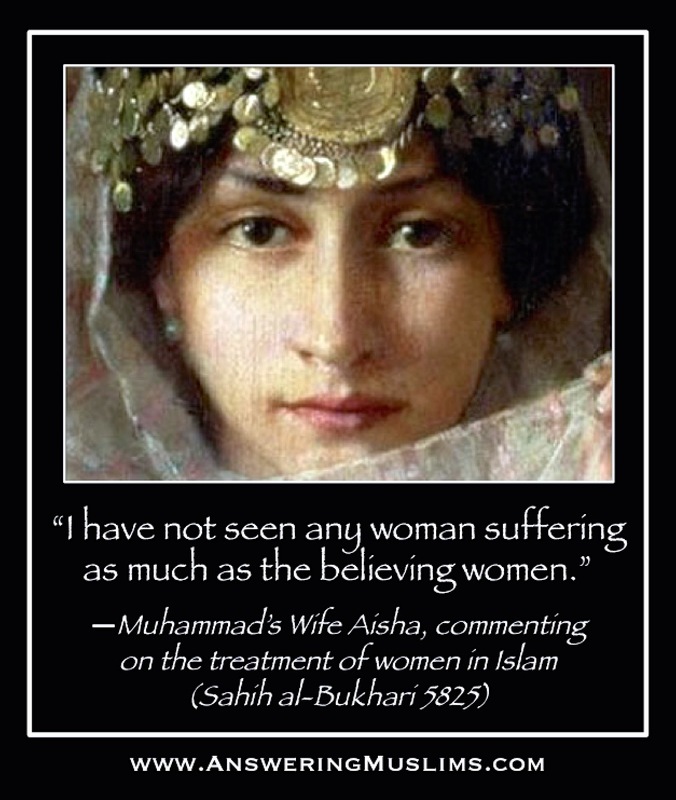 Shaima only want to be a free woman - which we are guaranteed under the Constitution of the US. If these people don't want to be held accountable for murdering their women, then stay in country of origin. Great verdict. At least Shaima has justice. I wish all of these women could be as free as we are. We'll keep working on it. This is why we can't have 'no go' zones. Ever. 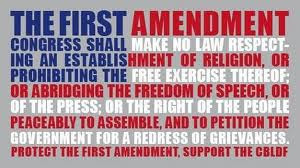 All are under the law of the USA, not their own making. God Bless America. Rest in Peace Shaima. Muslim nut cases. 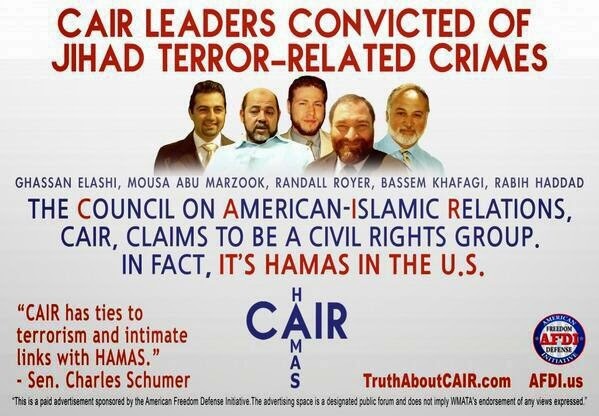 They think Allah is on their side for any murder they commit. Sick people. any chance that he used a word that you've translated as killer that implies guilt or someone who kills unjustly and not a word that means simply someone who has cause a death? Could he have been saying he had done nothing wrong with the implied context that its not wrong for a Muslim to kill his wife if he beleives she has acted inappropriately? I've found it interesting and challenging that there seems to be qualifications in this religion about things like "the innocent" that would allow that to exclude anyone who isn't a muslim in good standing. Be sure the result would have been different under Sharia Law! In fact it probably would not have been tried at all.